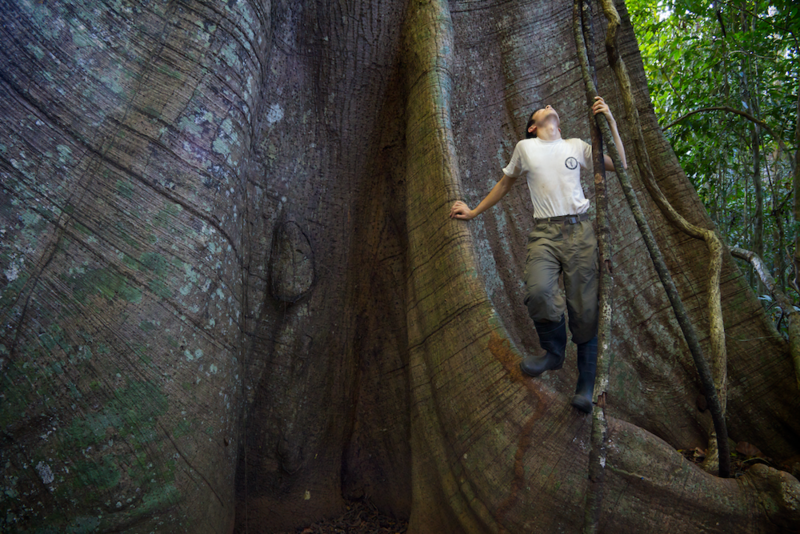 BMC Ecology announces the winning entries in its inaugural Ecology Image Competition, open to anyone affiliated with a research institute. The competition, which received more than 200 entries from international researchers at all career levels and a wide variety of scientific disciplines, was looking for striking visual interpretations of ecological processes. In this Editorial, our academic Section Editors and guest judge Dr Yan Wong explain what they found most appealing about their chosen winning entries, and highlight a few of the outstanding images that didn’t quite make it to the top prize. In his 1949 collection of essays A Sand County Almanac the ecologist Aldo Leopold lamented the loss of wild nature in his native US and the increasing disconnection between man and the natural world. Although he saw the use of photography as a means to reconnect people to ecosystems, would he ever have envisaged how ubiquitous the camera would become in the digital age? The ease with which nature can now be captured using modern photography is manifest in many high-quality prizes established for professionals and amateurs alike; for example the Natural History Museum/ BBC Worldwide Wildlife Photographer of the Year , or the National Geographic Photo Contest . While these showcase the undoubted talents of a diverse demographic of photographers, here at BMC Ecology we wanted to find out whether the natural world might be viewed differently from the perspective of professional ecologists like Leopold, with a specific emphasis on the central idea behind the study of ecology as a science—how organisms interact with each other and their environment. 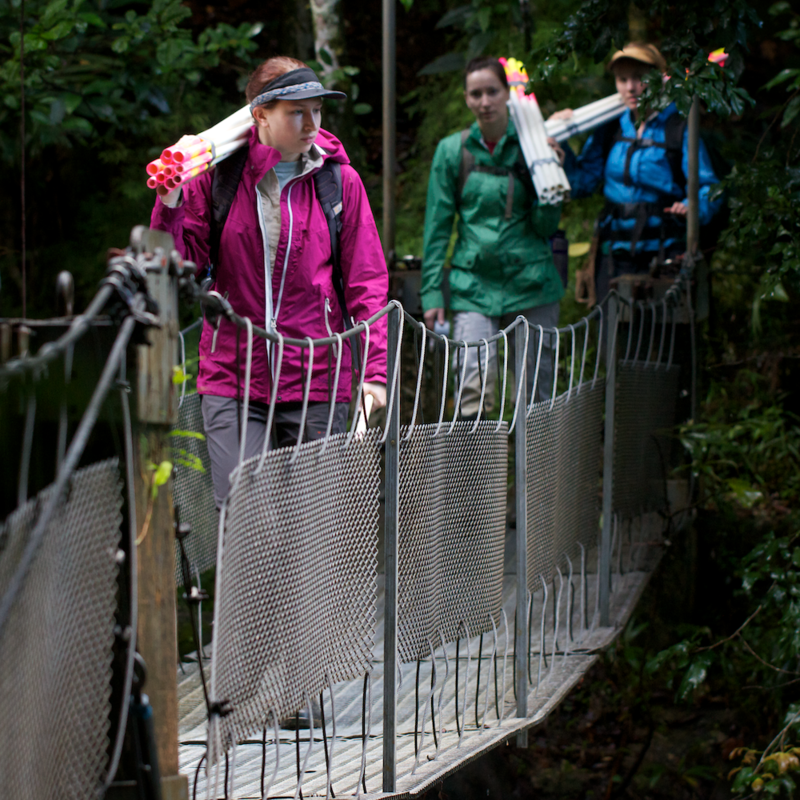 Compared to many other scientists, ecologists might consider themselves fortunate. Although ecological processes are complex, they often have strikingly visual components: a bee pollinating a flower, a predator hunting its prey, a fight between two rivals, the intricate habitat of a growing tree. Our intimate connection to our environment gives such images a visceral appeal. At its best, that appeal can be used to tell an ecological story, illuminate our understanding of nature, and highlight our investigations into it. By asking ecologists to send us their visual interpretations of the natural world—not just limited to photography—we hope to bring you a unique window into how the world around us is currently being investigated. In the spirit of scientific peer-review, we asked the Editorial Board of BMC Ecology to judge not only the visual appeal of these entries, but how they communicated this complexity. Every entrant was also given the opportunity to have their images published by our partners at the Biology Image Library , an online collection of resources for scientifically reliable teaching and learning in biology and biomedicine. All images are subject to peer-review before inclusion in the library, and include full metadata for each file. To judge the overall winners, we are delighted to have Dr Yan Wong , an evolutionary biologist who – through the slightly different medium of BBC television and radio – also tells stories about science in general, and biology in particular. We're also very pleased to be taking up his suggestion of a donation to the Wytham Woods Appeal Fund , and in a minor way, contribute to the continued maintenance of this outdoor ecological laboratory, which has proved such a fruitful resource for generations of ecologists. From the outset, we were aiming to garner entries from all branches of ecology. Indeed, in addition to being visually compelling and well composed, we were drawn to pictures that reflected in some way the enormous breadth of our science. The way to depict that broadness of scope was, of course, a matter of scientific and artistic individuality – individuality which is patently evident when inspecting the pictures below. We hope you will agree that our final selections are worthy winners. While your aesthetic opinions may not exactly tally with ours, we confidently expect a correlation between our and our readers' rankings of a strength which would, in normal circumstance, merit publication. Looking through the entries was a fascinating journey into a thriving jungle of ecological research – all the more enjoyable because many of the images submitted were visually stunning. This wasn't simply a search for an amazing picture, however. Just as important were the ecological processes depicted. Ideally, images should immediately hint at one or more ecological processes, yet leave some hidden depths which open up on closer inspection. The large number of highly commended images shows just how many ecologists have an eye for combining beauty with ecological insight. Five or six in particular gave the winning entries a run for their money. But in the eventual winner we recognised an extra quality: not only are the colours and composition eye-catching, they are the very basis of the underlying ecology – a dynamic that is being played out at a number of different levels and timescales. Even more impressively, this is revealed through the picture in such a clear way that it is immediately obvious, even to the layman. 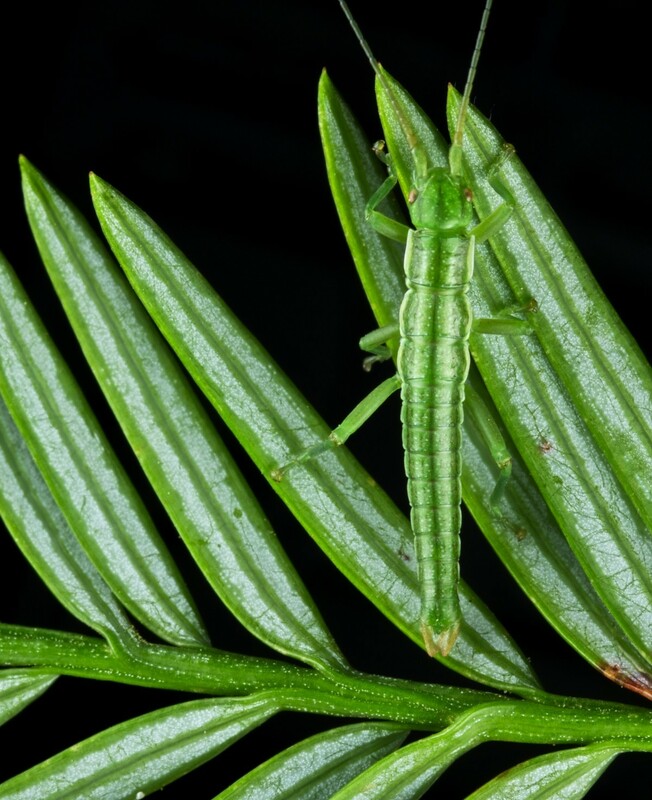 The image, taken by postdoctoral researcher Moritz Muschick from University of Sheffield, depicts the startling camouflage of a Timema poppensis stick insect against its host tree, the redwood Sequoia sempervirens (Figure 1). Overall Winner. “Timema poppensis perfectly camouflaged on its host, Redwood Sequoia sempervirens, California. This and other, closely related, species are adapted to live on very different host plants and at different elevations. These ecological specialisations have triggered the splitting into distinct species. How this ecological speciation is promoted, for example by divergent camouflage, can be studied by comparing species of Timema stick insects. Analysis of their DNA also reveals which regions in the genome play important roles in ecological speciation. The results of this research will advance our understanding of how biodiversity forms generally.” Attribution: Moritz Muschick. From a purely visual point of view, the picture is striking: an almost geometrical arrangement whose two-toned green stripes stand in stark contrast to the pitch black background. This contrast only heightens the incredible visual similarity between the insect and the plant. The match is even more impressive considering that they come from very different branches of the tree of life. The insect’s camouflage is broken somewhat by its orientation and an errant back leg, hinting that it is in the process of moving to an adjacent needle. We humans like reading this sort of dynamism and intentionality into a picture. In this case, however, it also serves as a counterpoint to ecological dynamic and an unconscious intentionality taking place on a rather different timescale – the millennia of adaptive change that have led to the evolution of this insect’s elegant colouration. A major factor in choosing this image as the winner is that it manages a seemly impossible task: to visualise an immensely long-term ecological process in a single static shot. A moment’s thought reveals that the evolution of this camouflage may not be simple, because this sequioa is the insect’s host plant. 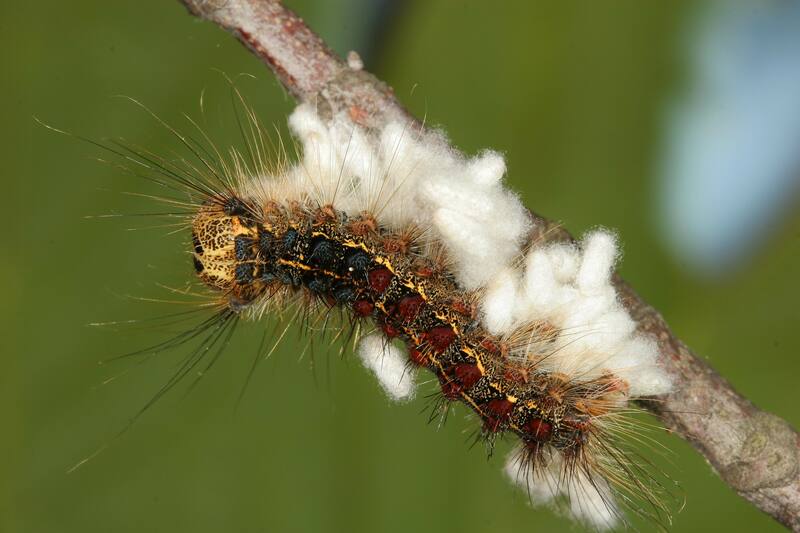 While the insect benefits from its camouflage, the tree (presumably) suffers increased herbivory. This is ecological coevolution along the lines of Batesian mimicry. The accompanying text introduces the further topic of ecological speciation and generation of diversity—a topic of wide relevance to ecologists. And those are not the only hidden depths. At first glance, this looks like a picture which suffers in comparison to some other images in the competition, in that it involves only 2 species. There is however, a third player in the story – a role which we the viewers have assumed by simply glancing at the picture. It's as if we are looking at the scene through the very eyes of the predatory birds responsible for selecting this pigmentation. This is a winning picture because the viewer is, perforce, involved in the ecological process it depicts. 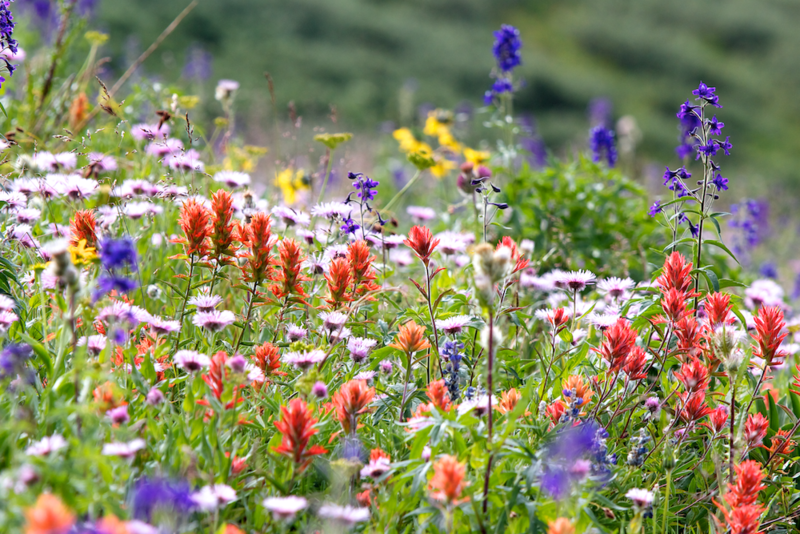 As a runner-up, we have selected a dazzling scene from Colorado of a subalpine flower meadow (Figure 2). Composing a photograph of this nature is surprisingly difficult, and Benjamin Blonder , a PhD student from University of Arizona, deserves congratulation for such a captivating portrayal of what it means to be biodiverse. The emphasis here is not on survival, but on reproduction: the dull but functional photosynthetic green seems an almost insignificant background compared to the waving of riotously coloured floral genitalia. Overall Runner-up. “Multiple flower forms and phenologies visible in a subalpine meadow (Colorado)”. Attribution: Benjamin Blonder. Although it can be seen as a poster child for the beauty of our science, it is only when we force ourselves to view the picture through an ecologist's eye that the true depths are revealed. What is it that allows such a diversity of forms and colours to coexist in an otherwise similar patch of ground? To whom are these flowers advertising, and what does this scene look like through their eyes? Like the winning image, the ecological emphasis of this photograph is on vision. But there the similarity ends. 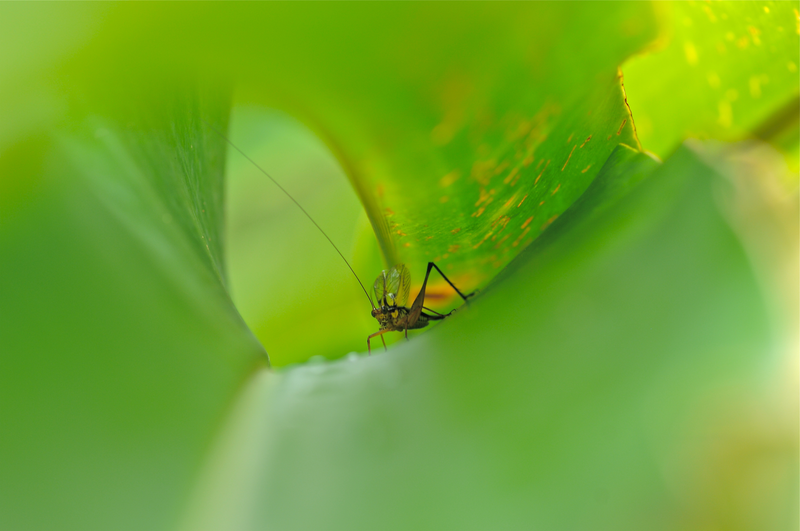 The similarity between the visual systems of humans and birds does not obviously extend to insects, the intended receivers of these plants' signals. We should perhaps be thankful that as unintended recipients, we can see beauty in this picture. Winner: Behavioural and Physiological Ecology . “A harem of 127 females is a prize that has to be earned. Where female Southern Elephant Seals (Mirounga leonina) provide all the parental care, they will only reproduce in the territory of the biggest males, the biggest fathers for their offspring. 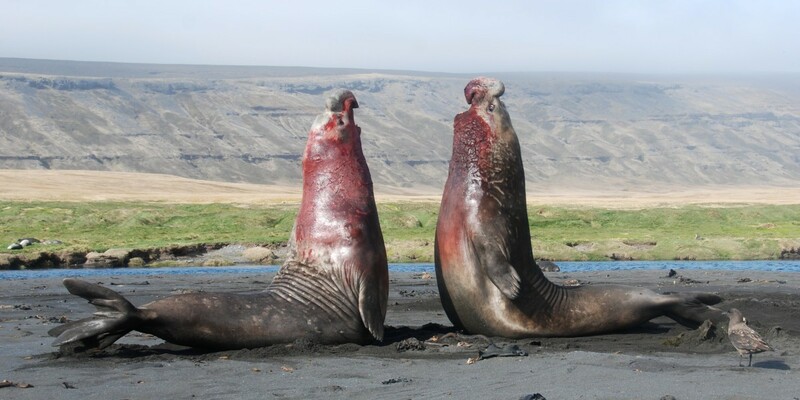 Females average 400 to 900 kg, while males weigh up to 4 tons; Southern Elephant Seals show the largest sexual dimorphism among land breeding mammals. When a male challenges the head of a harem he needs to prove his strength at a great cost, resulting in a fascinating and captivating fight between the two giants.” Attribution: Laëtitia Kernaléguen. Winner: Community, Population and Macroecology . 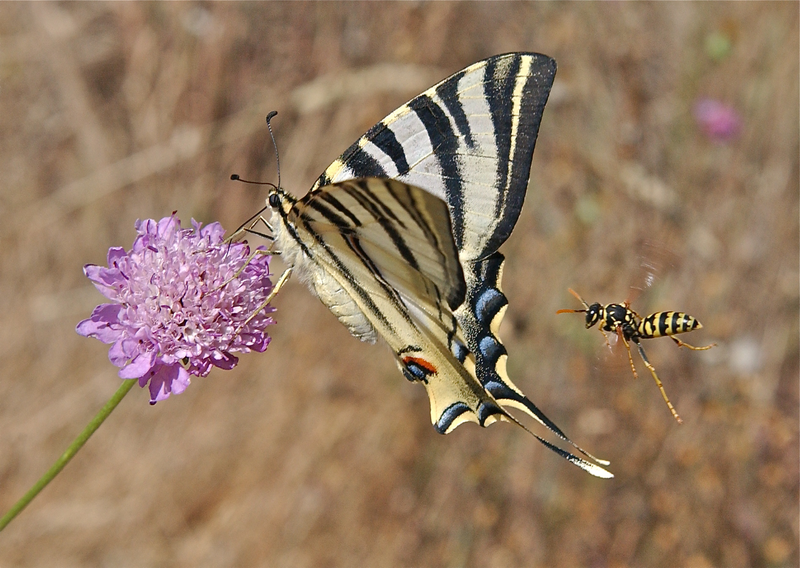 Scarce swallowtail, Scabius flower and Polistine wasp. Attribution: Michael Siva-Jothy. Winner: Conservation Ecology and Biodiversity. 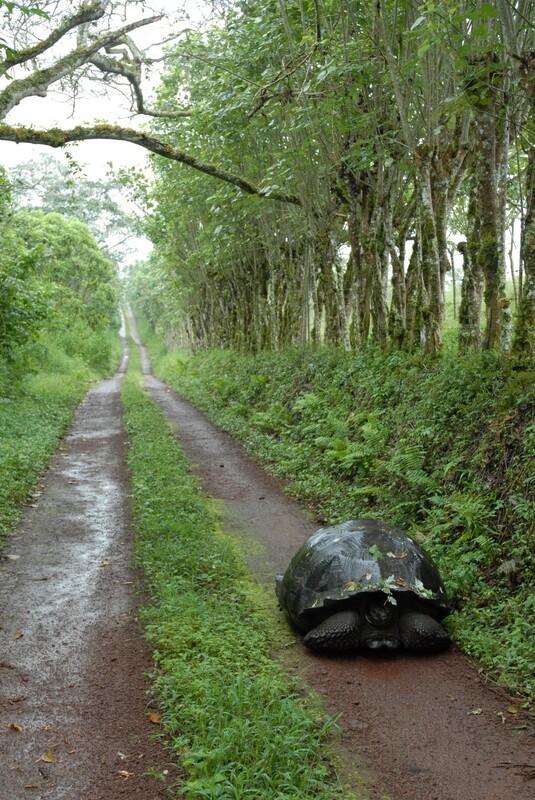 “A Galápagos tortoise (Chelonoidis nigra) utilizing a human road on Santa Cruz Island. I took this photograph while researching ecological interactions between species and landscapes in the Galápagos.” Attribution: Hara Woltz. Winner: Landscape Ecology and Ecosystems . 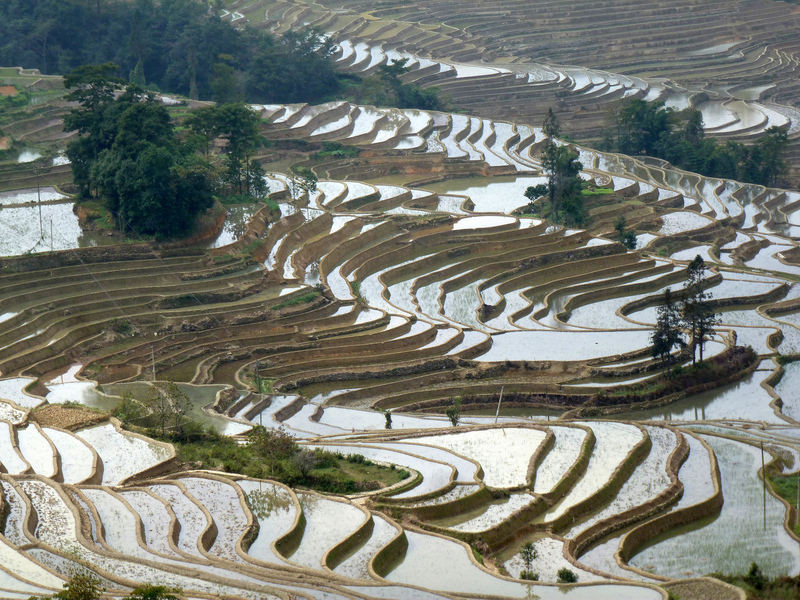 “Rice paddy in Yuanyang, China” Attribution: Yulin Jia. Biology Image Library ID 65539. 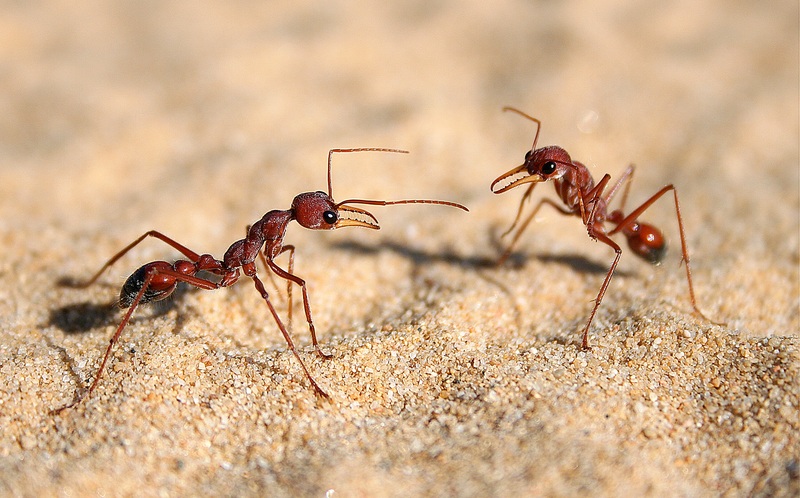 “Evolutionary game theory can help us analyze interactions in a social or biological setting. My personal success depends not only on what I do but also what others do. In biological terms, being successful in an evolutionary game is positively correlated to the reproductive success. Typically, pairwise interactions are assumed in game theoretic interactions. However in reality, interactions are not always in pairs. For example more than two hunters are often required if a big animal is to be taken down. Two player interactions predict that there can be at most a single point where the different strategies can agree on so that each gets an equal payoff and each strategy survives. If there are d players that can choose from n different strategies, then there can be at most (d-1)^(n-1) points where all the strategies can coexist. Thus, for d > 2, the number of such points increases exponentially with the number of strategies. Also the encounters between species can involve multiple individuals from the involved species. 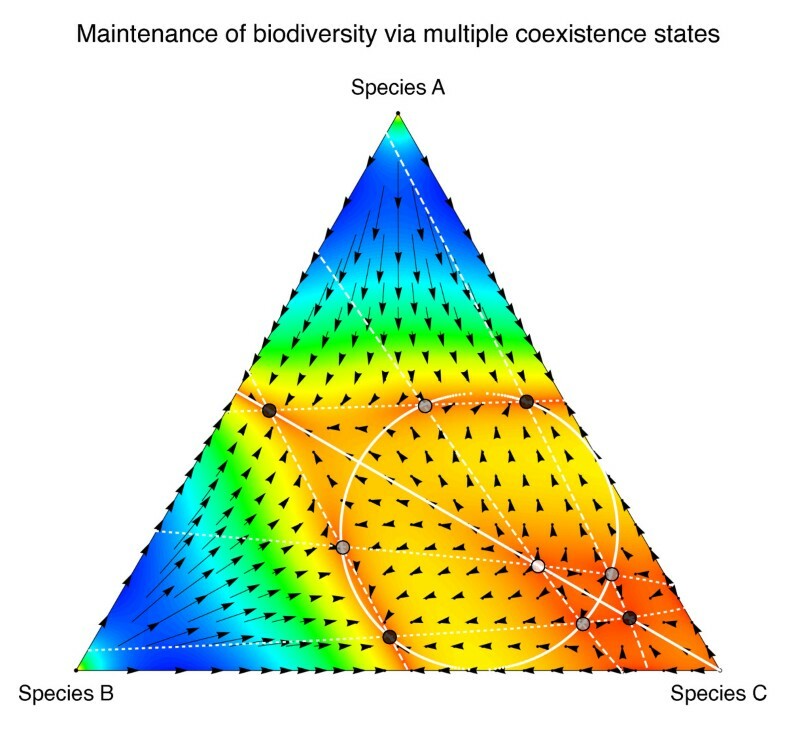 This provides the possibility for multiple stable states and thus eventual maintenance of biodiversity. Thus, if there are multiple strategies involved and if the number of players is high, there may be higher chances of reaching a stable or unstable coexistence – simply because more solutions are possible. Winner: Theoretical Ecology and Models. Multiple players and the maintenance of biodiversity. From Gokhale CS, Traulsen A: Evolutionary games in the multiverse. PNAS 2010, 107: 12, 5500-5504. (doi: http://dx.doi.org/10.1073/pnas.0912214107). Winner: Editor's Pick. “Surveying old-growth secondary forest along the remote Rio Tunquimayo in the Puno province in SE Peru to determine the impact of coffee cultivation on bird conservation” Attribution: Raf Aerts. Although there could only be a handful of winning images in this year’s competition, the standard of entries was so high that there could easily have been several worthy winners across all categories. We do of course hope that you agree with our choices; and to give you a flavour of just how difficult these decisions were for all of our judges, here’s just a small selection of some of the most highly commended images that didn’t quite make it to the top prize. Many of these images excel in specific ways, and in these particular aspects they are sometimes better than the winners we have selected. 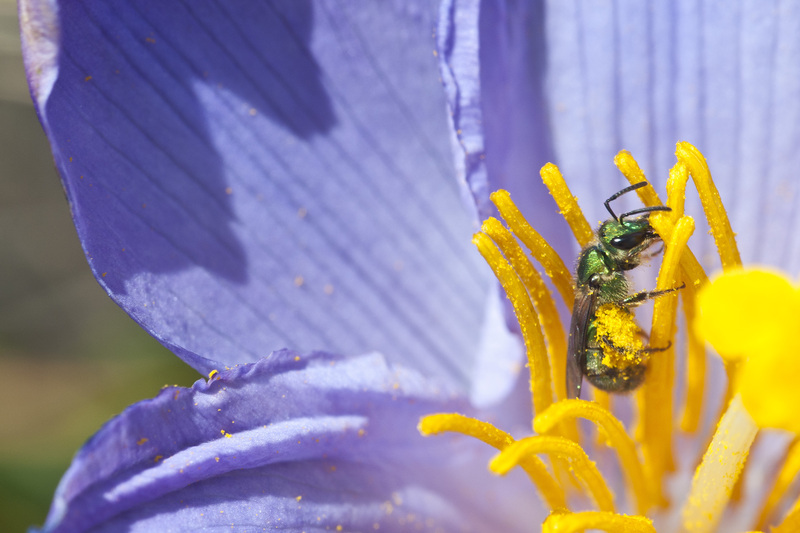 Take sheer visual beauty: the combination of colours in the image of an iridescent green bee [Additional file 1]  collecting bright yellow pollen from a purple Vellozia flower is surely one that will remain in the mind for some time to come. 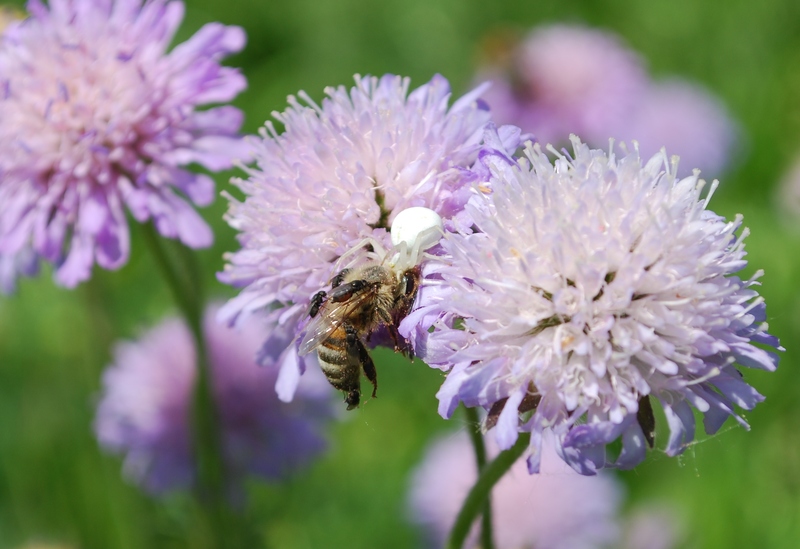 Indeed, one might have thought that the competition would be dominated by pictures of plant-pollinator interactions – relatively easy to capture images where colourful organisms are tied together via a clear ecological story. We are pleasantly surprised that this is not the case. In fact, only three such pictures make our final selection, and the other two are rather more unusual. One involves a vertebrate pollinator, in a winged blur of flower-powered energy [Additional file 2] . The other shows that it sometimes takes an act of will to overcome our initial revulsion and appreciate the inherent beauty of an ecological scene [Additional file 3]. 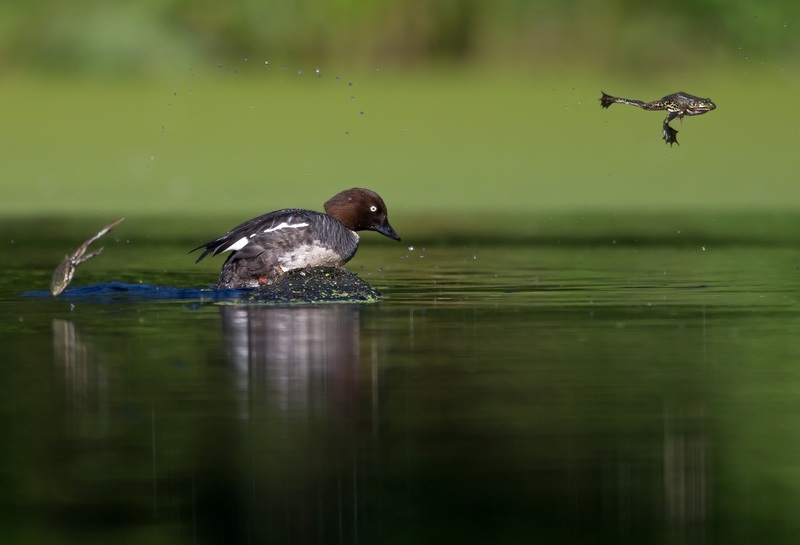 “This image captures that brief moment of stillness – the hovering – of the fly perfectly; with just the blur of rapid wing beats the only movement. The fly clearly looks as if it is hovering, legs slightly dropped, perhaps to aid balance as it lands, or in readiness to shoot off again. 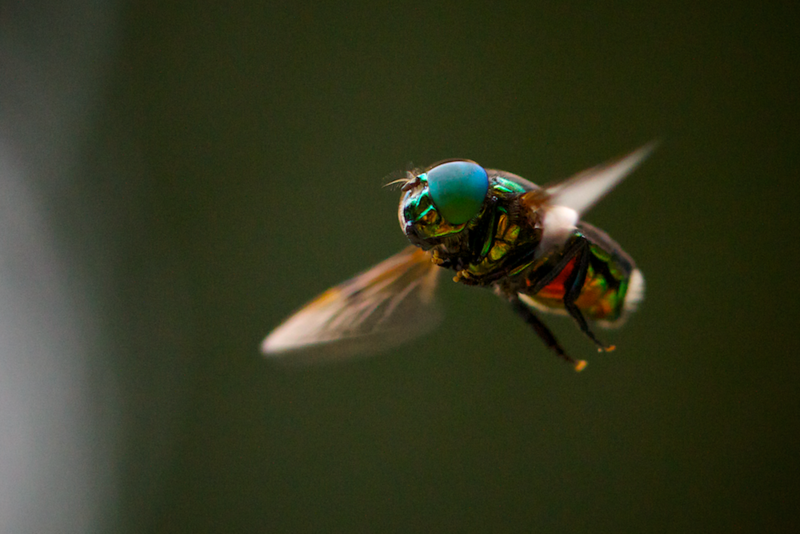 This picture of nervous energy is greatly enhanced by the dazzling, iridescent colours and great detail; the eyes are so massive it looks like the fly is wearing a helmet“. Along with the similarly impressive winner of the Community, Population and Macroecology section (Figure 4), these surely would have been top in a standard competition of natural history photographs. Almost as technically crisp are a pair of pictures that both tell behavioural stories: the gladiatorial standoff –or is it a polite discussion? between bulldog ants [Additional file 5] , and the simply delightful (albeit accidental) interaction between a duck and some frogs [Additional file 6]. Behavioural ecology leads to situations which make intriguing and hence captivating imagery. 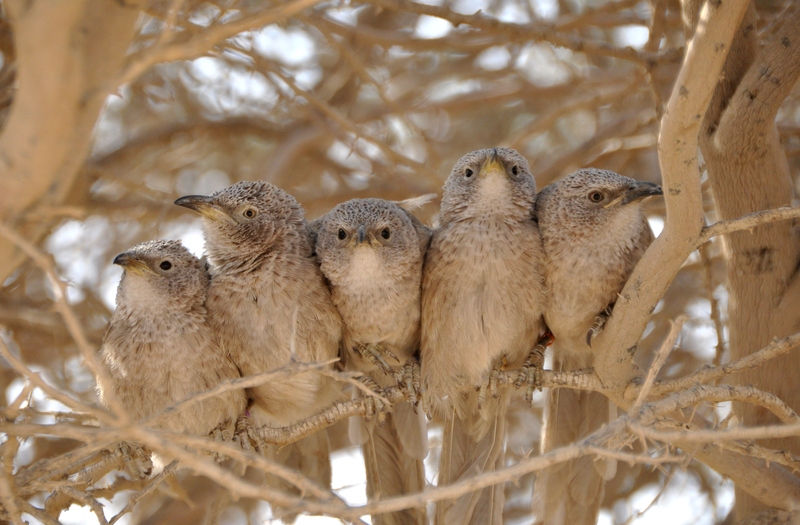 The Arabian babblers [Additional file 7]  are clearly up to something ecologically important, and we urge you to read the story of the ingeniously sonorous cricket [Additional file 8]. 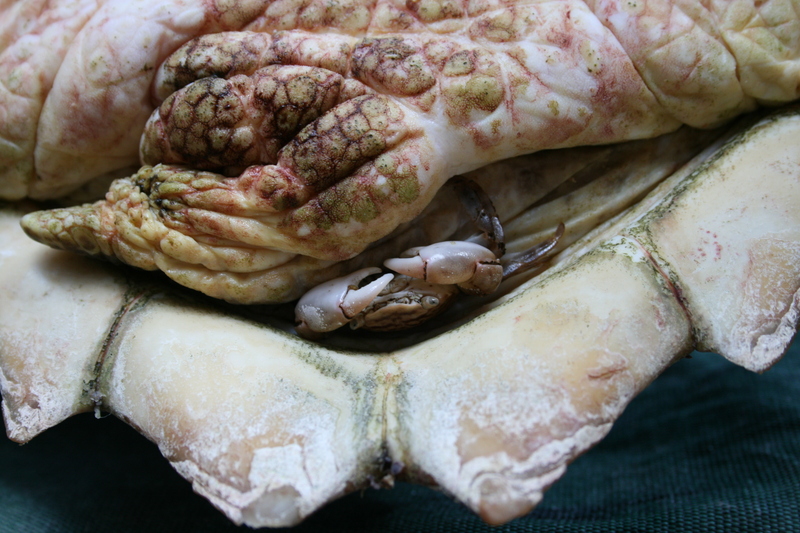 Multi-species interactions are represented by a crab and its biotic shelter [Additional file 9], although it's a shame we don't see it scavenging a livelihood on the surface of its travelling eco-home. 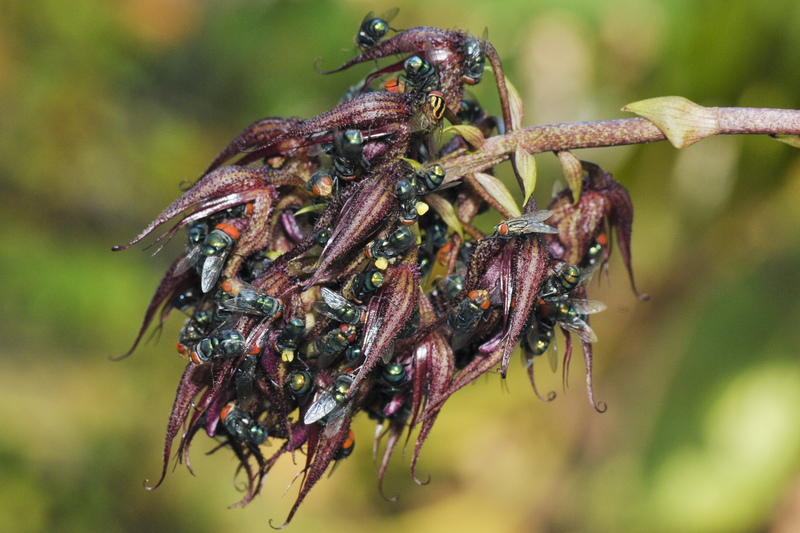 A less benign form of parasitism is seen in the colourful yet disturbing scene of death which must gladden the heart of foresters [Additional file 10]. Although death-by-wasp must be one of the most common of all gruesome endings in nature, we suspect only an ecologist would immediately recognise what is going on in the picture. The two other images of predators and their prey also take a while to fully absorb, giving the viewer an enjoyable moment of dawning realization. 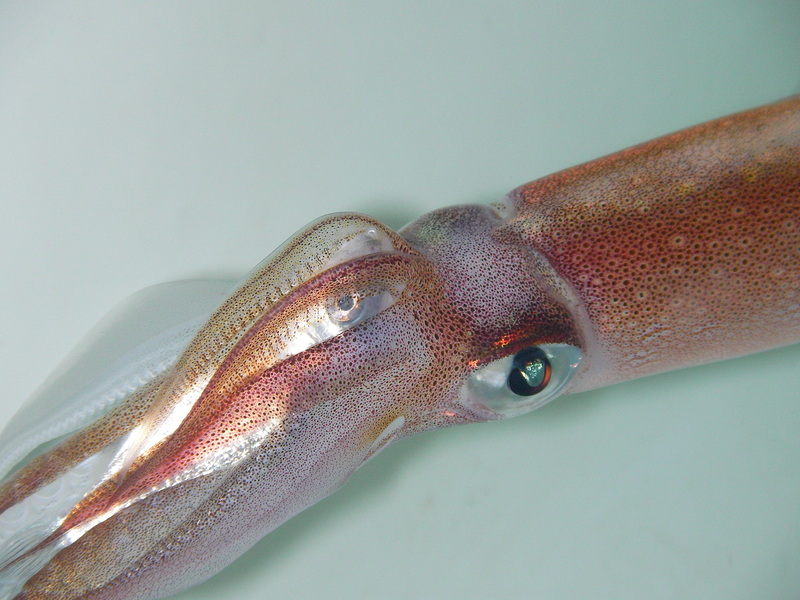 The diaphanous tentacles of a squid give this image a soft, aesthetic quality which sits in edgy contrast to the killing which has just taken place [Additional file 11]. The efficient dispatching of a bee by a well-hidden spider [Additional file 12] depends on exploiting an established plant-pollinator system: truly a multi-faceted portrait of ecology in action. Five pictures concern human interaction with the environment, in a variety of guises. The image of a bird on the jawbone of a farm animal [Additional file 13] neatly and clearly captures a message which is all too familiar to conservation biologists. 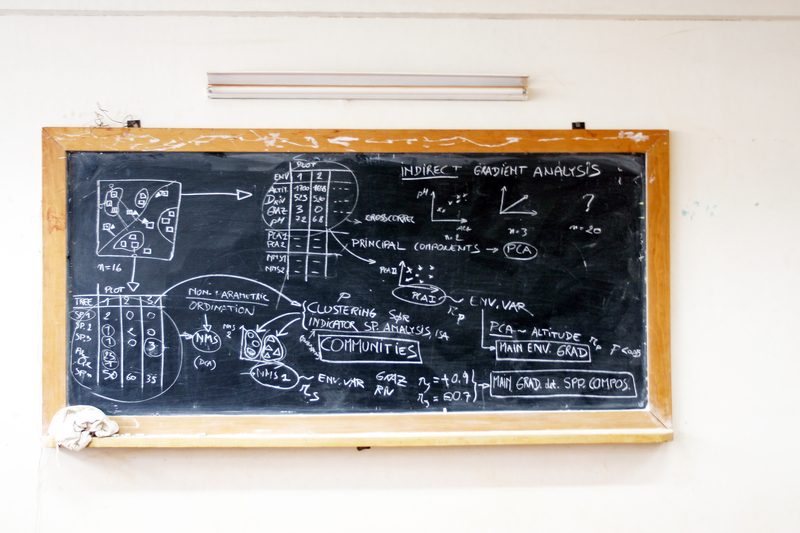 Attempts at understanding and communicating our impact on natural systems are shown in an elegantly simple picture of a blackboard [Additional file 14]. Ecologists interacting with their surroundings are represented here too. 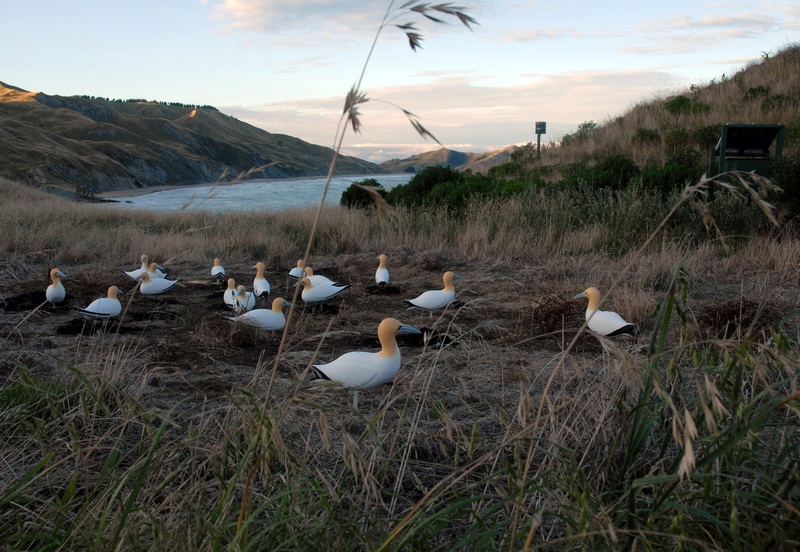 One serves as an awe-struck yardstick, emphasizing the sheer scale of the tree Ceiba pentandra [Additional file 15], while it takes a nice second or two to realize that a picture of nesting gannets is actually a portrait of practical conservation in action [Additional file 16]. Finally, the composition of contrastingly coloured conservationists [Additional file 17] is one of the most evocative descriptions of field ecology we have seen." Looking to future competitions of this nature, there are some areas which seem somewhat unrepresented. There are few landscape photographs in our final selection, perhaps because it is hard to draw attention to a particular ecological detail when picturing a wide scene. 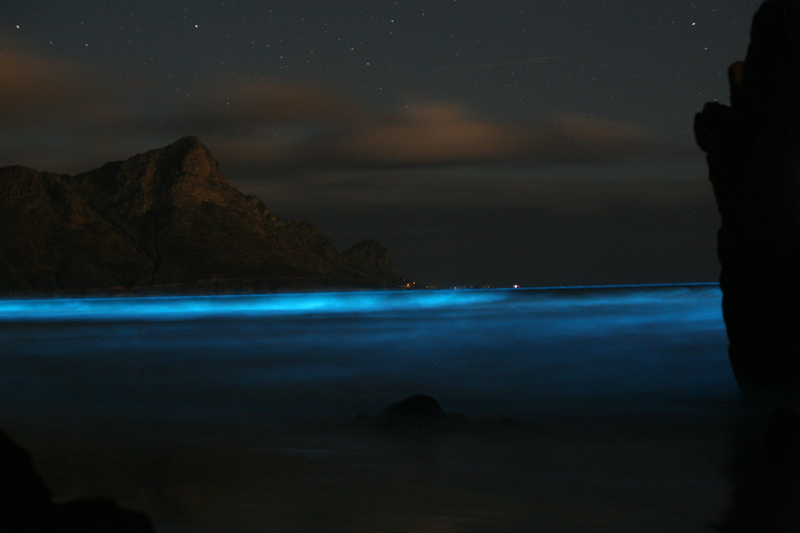 The delightful exception to this is a nightscape dominated by luminous dinoflagellates [Additional file 18], whose anti-predator behaviour displays the stunning visual impact that ecology can sometimes provide. Perhaps the least well represented, however, are images which try to combine elements of photography and graphical display of information. The image of penguins and their heart rates [Additional file 19] (see also ) is a valiant attempt, but few entries attempted combinations of this ilk. Yet this sort of image gives perhaps the most scope for original and thought-provoking pictoral composition. 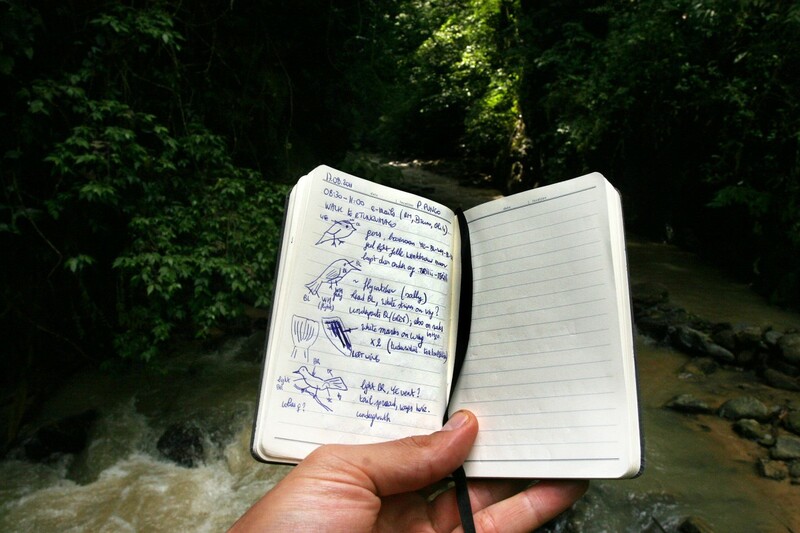 It is surely a field worthy of more attention, if ecologists are to harness the power of visual impact to communicate their thoughts and research to a wider audience. Individually these images provide a brief snapshot of ecology in action – sometimes brutal, sometimes beautiful. Collectively they provide an overview of complexity and connectivity in the natural world through which we hope readers will have been entertained―and a little enlightened. All images published in this Editorial are released under a Creative Commons Attribution License (CC BY)  by permission of the entrant. Please ensure you credit these names if you wish to re-distribute or re-use these fantastic pictures. You can also view other ecological images (including entries to the competition not listed here), on BMC Ecology’s Flickr page “Imaging Ecology” . 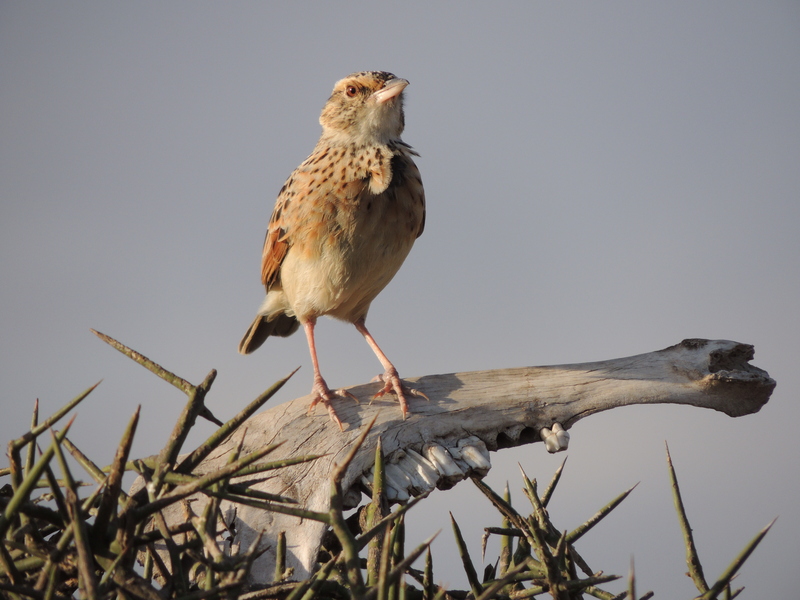 If you have some ecological images that you would like to share with us, please do join in. Simon Harold, Yan Wong contributed equally to this work. We would like to thank all of the many entrants that took the time to participate in the competition, and share with us their incredible images - and the fascinating stories behind each one. SH would also like to thank the many people that supported and promoted the competition throughout its duration, especially Genevieve Horne, Shalene Singh-Shepherd, Jo Appleford-Cook, Elizabeth Moylan, Deborah Kahn, Matthew Cockerill, Michael Hallworth, Vanja Merrild, Ruth Francis, Philippa Harris, Natalie Shon and Emilie Aimé (for lending me A Sand County Almanac). SH is an employee of BioMed Central. MB, MBB, JC, NJR and JS are Editorial Board Members for BMC Ecology. YW declares no competing interests. SH conceived of the competition and co-wrote the Editorial with YW. MB, MBB, JC, NJR and JS chose category winners and provided quotations for their decisions. All authors read and approved the final manuscript.